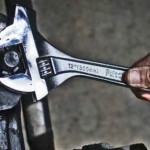 The Proffered Ratcheting Adjustable Wrench provides an efficient ratcheting function with greater efficiency compared to conventional wrenches with its combination ratcheting and adjusting function. The anti-slip comfort grip design and TPR material handle with ridged design ensures a strong grip and prevents slippage. 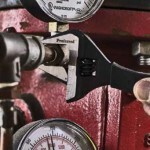 The super thin head on the Proferred 10″ Adjustable Plumbing Wrench allows for use in limited and narrow spaces and the greater jaw capacity allows 55% wider opening than traditional wrenches along with a jaw depth that is 30% higher than general wrenches. This wrench is deal for plumbing, automotive, installation and gas fitting industries.l. An adjustable wrench, pipe wrench, hammer, 7/8” ratcheting box end and a 1/2” drive ratcheting wrench. Rust resistant sae 6140 steel. Fully heat treated, hot forged handle. Ergonomically designed for a comfortable hand grip. This tool has a combination function for ratcheting and adjusting. Efficient ratcheting function offers greater efficiency compared to conventional wrenches. Anti-slip comfort grip design TPR material handle with ridged design ensures a strong grip and prevents slippage. 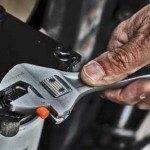 The Proferred Adjustable Plumbing Wrench is ideal for plumbing, automotive and gas industries. Super thin head allows for use in limited and narrow spaces Greater jaw capacity allows 55% wider opening than traditional wrench. Jaw depth is 30% higher than general wrench. 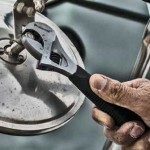 The Quick Snap provides greater jaw capacity with quick release jaw allowing for fast setting with one easy pull. The micro adjusting the moveable pad allows the knurl to adjust the jaw opening. Convenient and 5-times faster operation Dual teeth fits SAE and metric fastener specifications.